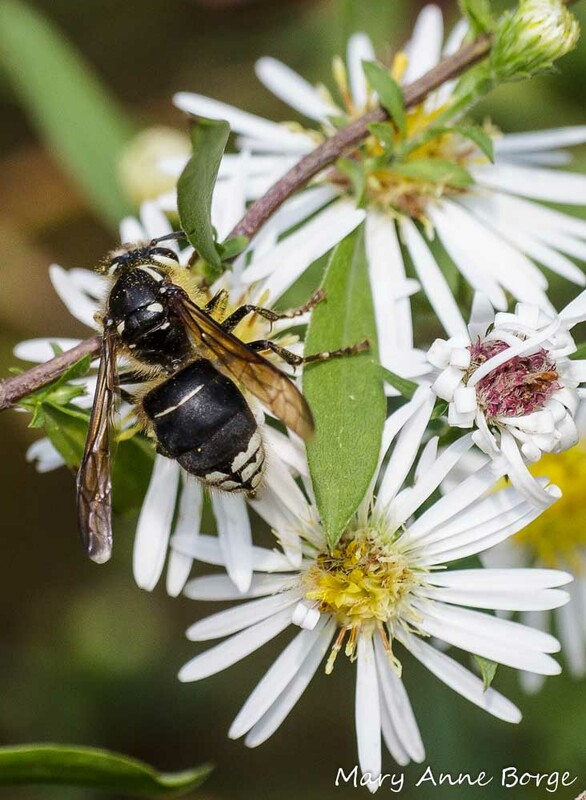 During the winter, Bald-faced Hornet (Dolichovespula maculata) nests are more visible than they are during the growing season when the woods are dense with leaves. 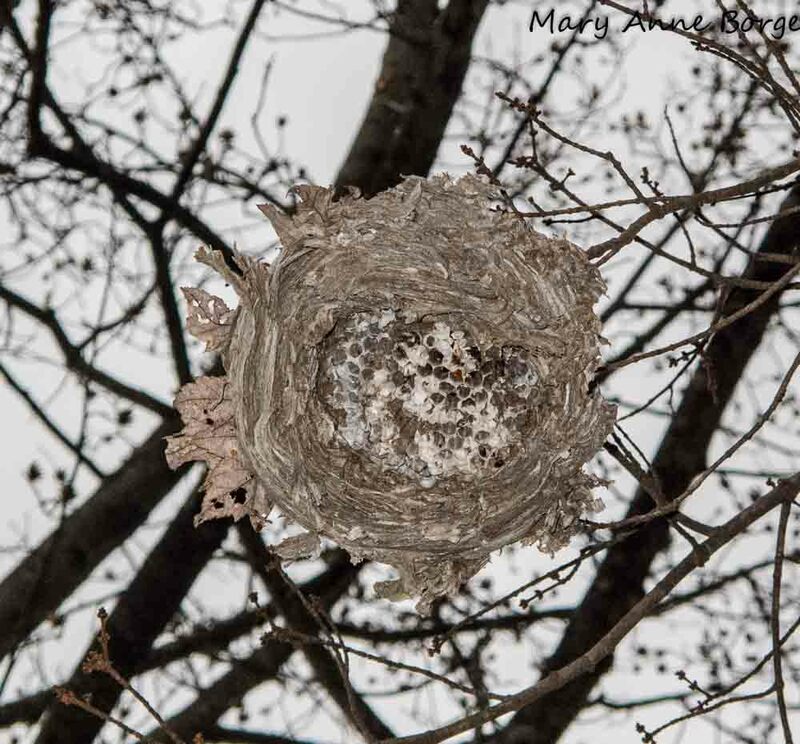 This large nest looks like it is made of paper, and in fact it is. Initially the queen, and later the workers in the colony use their mandibles to scrape up and recycle bits of dead wood, then they mix the wood with their saliva to create the paper mache like substance from which they gradually construct their nest, adding new cells as the colony grows. 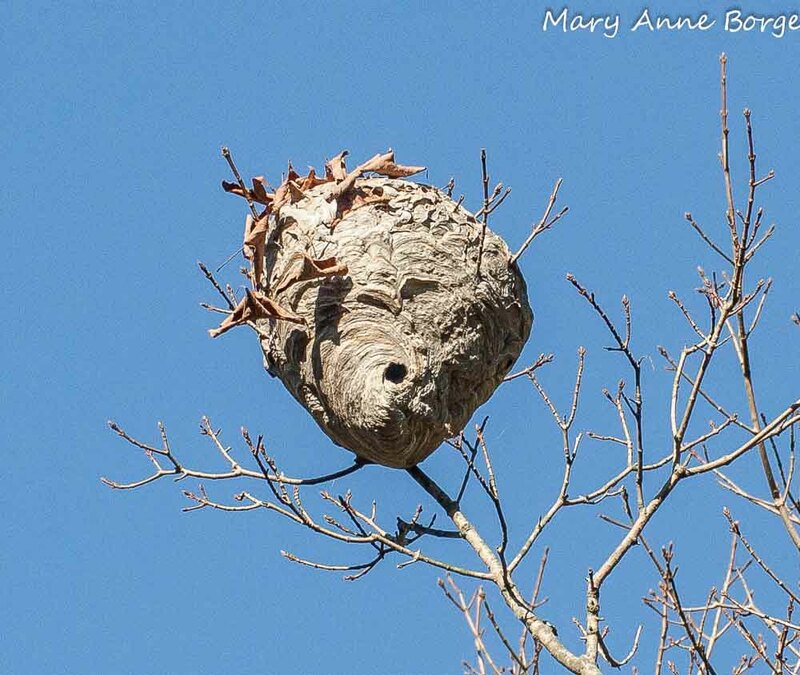 These nests are generally not active in winter, except occasionally in the southernmost part of the Bald-faced Hornet’s range. All the colony members die as winter sets in, with the exception of the fertilized queen. She finds a safe, warm place to spend the winter, usually in or under a fallen log, in a hollow tree, or sometimes underground. In spring, birds take advantage of these abandoned structures and rip away bits of the paper to use as building material in their own nests. 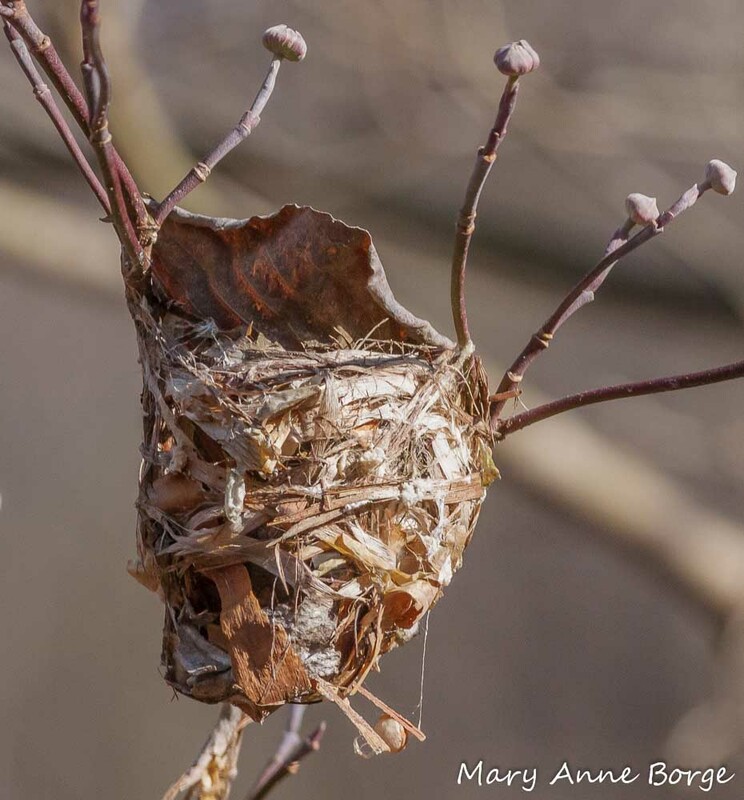 If you look at the lower right section of the nest below, it looks like there is some recycled ‘paper’ along with the plant materials that were used in this construction. 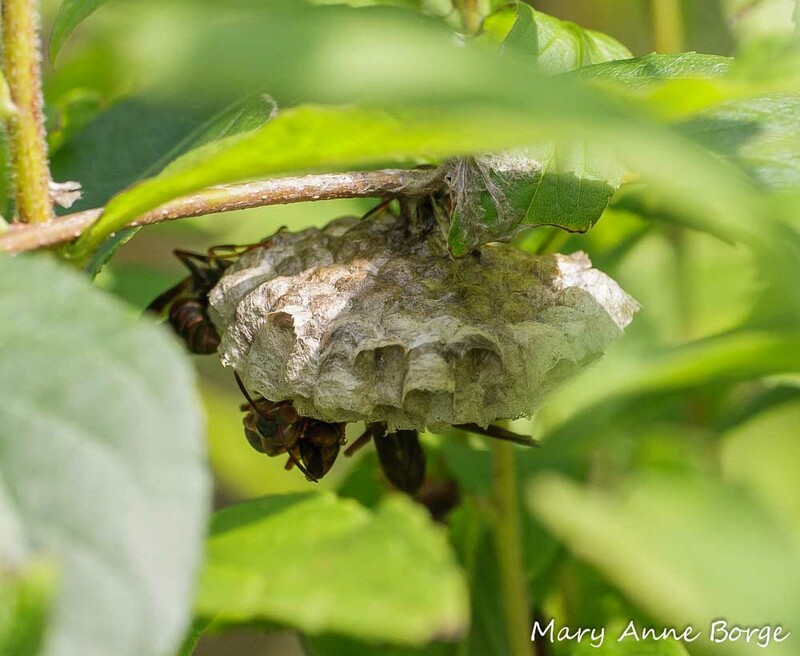 Because paper is used in the construction of the nest, people often think this large football shaped shelter belongs to Paper Wasps. While Paper Wasps use the same materials for constructing their nests, the homes they build for their larvae are much smaller, and somewhat umbrella-shaped, like the one below. Bald-faced Hornets are named for the white markings on their face, and are sometimes called White faced Hornets. They also have white markings on the lower part of their abdomens. Bald-faced Hornet feeding on nectar. Note the white facial markings that give this species its name, and the pollen on its head. Does the word ‘hornet’ make you want to reach for a can of insecticide spray? Well, don’t! That’s almost never a good idea. It may help to know that Bald-faced Hornets are not really hornets! They are wasps, one of the wasp species known as Yellowjackets. Ok, I get that this might not make you feel any more comfortable with them. 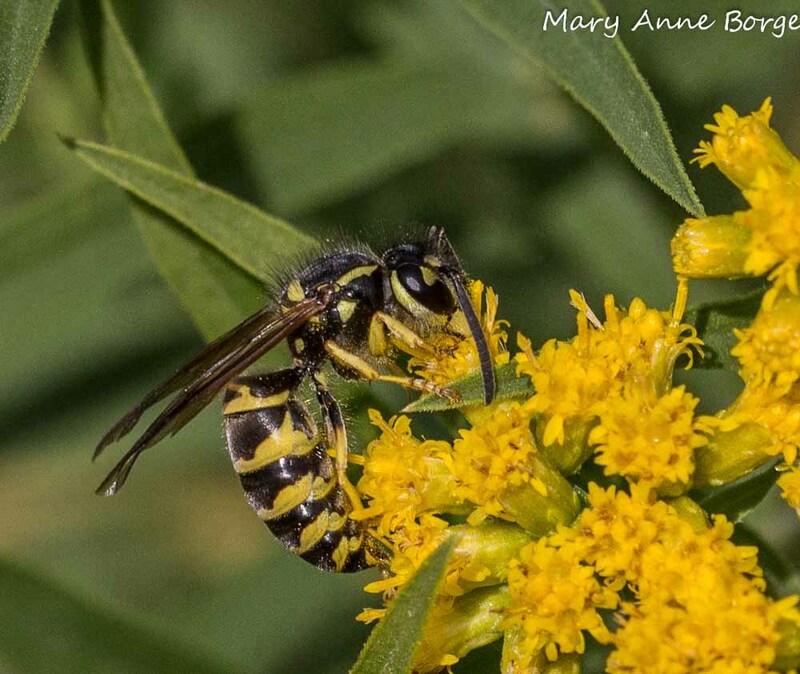 We’re used to Eastern Yellowjackets relentlessly competing for picnic food, and they can be quite aggressive. It’s true that if Bald-faced Hornets think you are a threat to their nest, they may sting you, so it’s best to give an active nest a wide berth. As long as you do that, you are unlikely to have an unpleasant encounter with them. Bald-faced Hornets are actually beneficial in several ways. 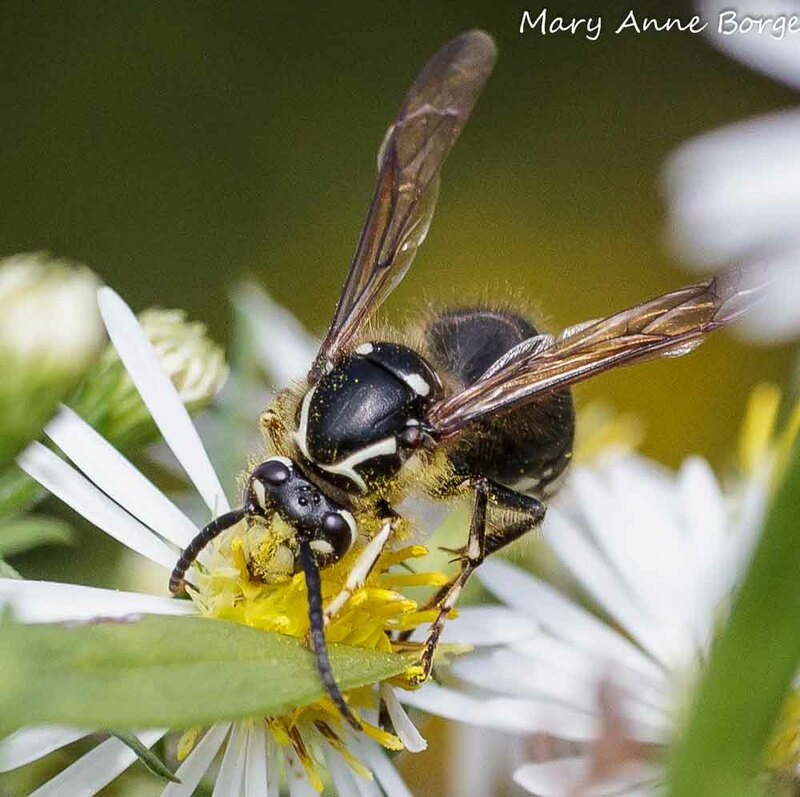 Like many wasp species, they help to keep the insect population in balance. Bald-faced Hornets feed many types of insects to their developing offspring, and are especially fond of flies and even other Yellowjackets. They can be helpful by harvesting caterpillars for their offspring on a farm or near a vegetable garden – think unwanted Tomato Hornworns. 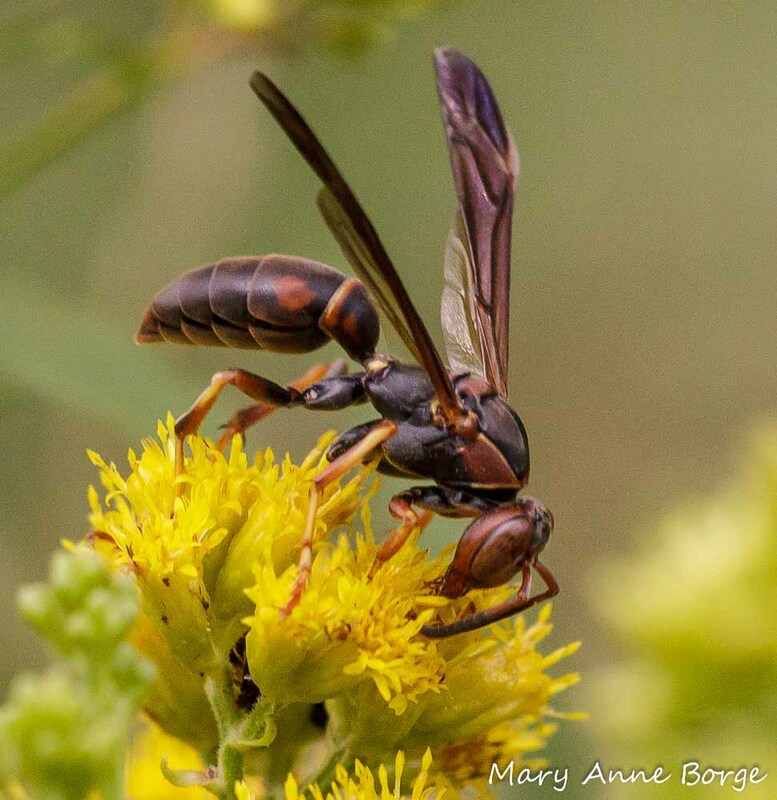 Adult Bald-faced Hornets feed primarily on nectar or other sweet treats like aphid honeydew. In the process, they provide pollination services to the flowers where they are drinking. And in spite of their size and stingers (in the case of females), Bald-faced Hornets may become a meal for a larger predator. Bald-faced Hornets can make good neighbors, as long as you give them their space.